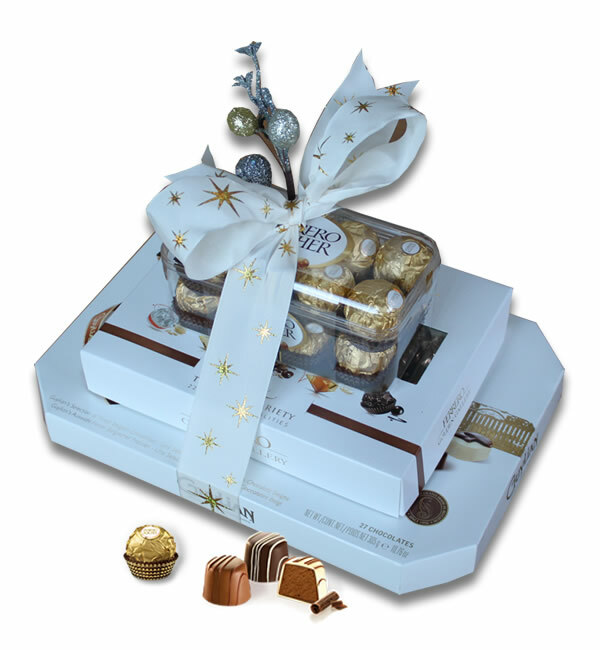 A festive chocolate tower of excquisite Guylian & Ferrero Rocher chocolates. A wishcard with your own personal message makes the gift complete. We deliver this gift in the Benelux, France, Germany, Austria, Denmark, Hungary, Italy, Slovakia, Denmark, United Kingdom, Czech republic, Poland. Order today before 3pm. for delivery any day of your choice.